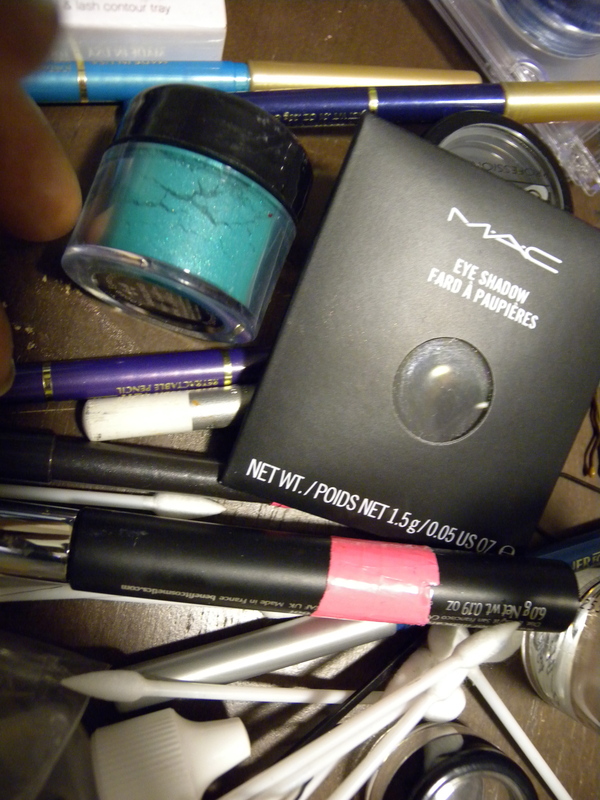 New MAC eyeshadow refill is finding its place amongst the rest of my kit. Now I just need to put some pink tape on it. I had to go out and replace my Carbon black MAC eyeshadow for the second time this year. I used to buy the Carbon shadow in single pots. This time I got smart and bought the refill to add to my magnetic eyeshadow case. That way it’s harder to misplace (or “walk away” on its own). Then in an effort to get ready for a shoot tomorrow. I spent the better part of this evening putting hot pink tape on the makeup in my kit. Not that I think anyone is trying to steal my stuff. It’s just that when you and three other makeup artist all have the same eye liner, brushes, etc… and you are all working from the same table, it helps to be able to easily identify your products. I like to use colorful tape, I have some friends that use a small dot of nail polish or a label. What do you use to label the products in your kit? At the end of the day when everyone is tired and in a hurry to go home. You just want to grab whatever is in front of you, shove it in you set bag and run away as fast as you can. I know I have been guilty of that. Tired eyes make mistakes. Darn it! I better go…. I still have to put tape on the rest of my makeup brushes. Maybe no one else will have black handled brushes on set? Yeah… and maybe a leprechaun will come label my brushes for me. 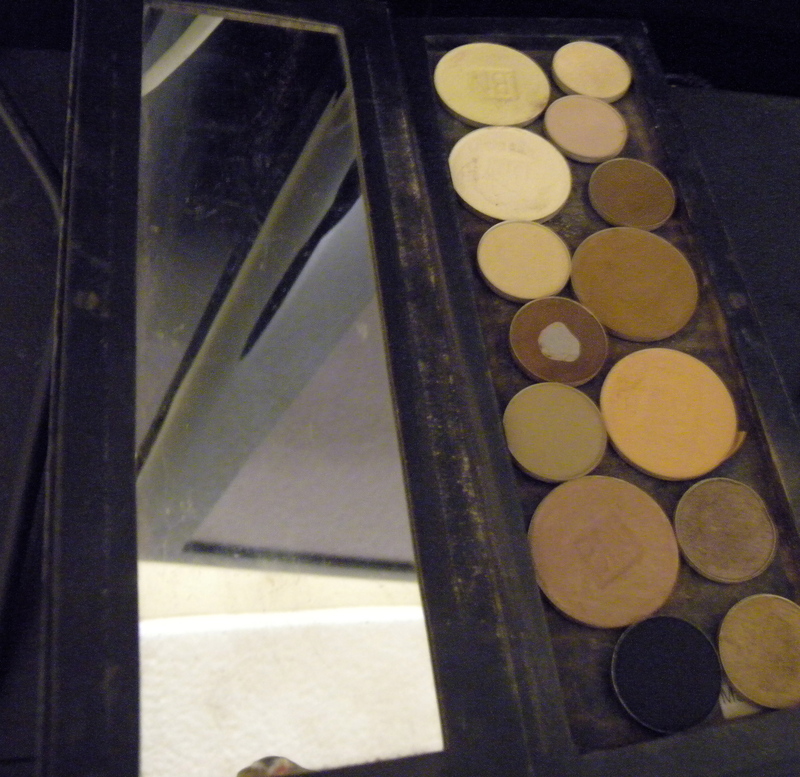 I added the matte black, Carbon, shadow to my neutral palette. I have never lost any shadows from this set, so maybe it will be safe this time. Please feel free to leave comments and let me know what you are thinking. Do you label the products and brushes in your kit? I would love to hear from you! So exciting to be getting ready to help on set! I also wanted to let you know that the Urban Decay IV book is on sale for $30 dollars. I remember you did a post a few months ago about how nice it was.